Believe it or not, making webcomics doesn't pay the bills. Not yet anyway. I'm not chillaxing on my luxury yacht in the middle of the Aegean Sea, slipping a mai tai. Maybe Stan Lee can do that, but definitely not me. It's more like an all-day job. I work crazy hours sometimes. Like 60, 70 or more hours. This past week was one of those weeks. 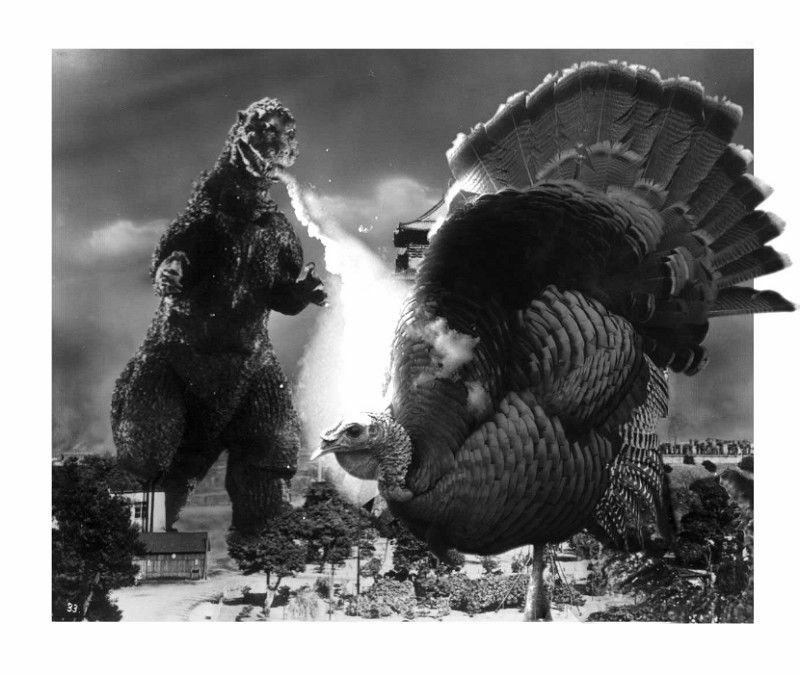 However, in the back of my mind, as I was working all those hours, I was wondering which tokusatsu movie I would watch for my traditional Tokusatsu Thanksgiving. Would it be Rodan? Or War of the Gargantuas? Or maybe something obscure, like The H-Man? When I finally stumbled home Wednesday night, carrying a sad sack of fast food, I decided upon Ghidorah, the Three Headed Monster. Ghidorah, the Three Headed Monster is a significant film in the Godzilla mythos. Released in Japan in 1964, it was directed by Ishiro Honda and featured special effects by Eiji Tsuburaya. Godzilla dons the mantle of hero for the first time as he joins forces with Mothra and Rodan against the dreaded space dragon, Ghidorah. Truthfully, I fell asleep trying to watch it. Just too damn tired. But I was successfully able to watch it on Thursday morning. That's an alliteration even Stan Lee would be proud of.